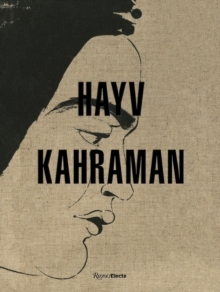 The vital practice of Hayv Kahraman produces ethereal figures relating to each other in complex grounds. Their grace belies the brutal history of violence and displacement Kahraman s subjects endure, creating an oscillating effect that entices the viewer with its seductive order. The artist combines elements of Italian Renaissance painting and twelfth-century Baghdadi illuminated manuscripts to create an evocative, hybrid vocabulary. Her quietly radical shifts where traditional Iraqi screens geometric patterns are replaced with sections of a woman s body, or a manuscript figure is presented as doll-like parts convey the artist s developing exploration of femininity, acculturation, and abstract patterns. Essays by Martin Daughtry, Walter Mignolo, and Octavio Zaya accompany works from all series to date, where graphic patterning attests alternately to violence and to moments of agency, community, and escape.